Choose a full-service contractor with experience at every stage of the construction process. At Fusion Building Company, we offer a complete turnkey experience. Our team has a thorough knowledge of building codes and industry-specific needs, and we provide full support from the initial conception and planning to project completion. Turn your house into the custom home you've always wanted. We offer remodeling and construction services for occupied and unoccupied residential properties. From simple remodeling to major additions, we do it all. We'll be by your side at every stage, including design and pre-construction. Give your business room to grow. We build and remodel commercial space for companies of all sizes. Our team handles every stage of the project, from demolition of old structures to final trim-out of your new facility. Architectural and engineering services are provided through third parties. Past projects have included restaurants, nightclubs, medical offices, and more. Make your industrial facility work for you. 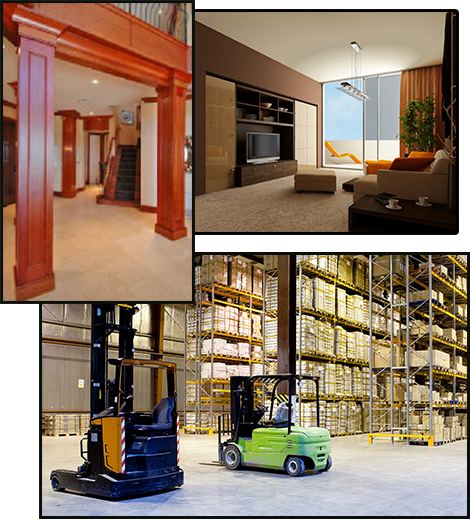 We work on warehouses, manufacturing facilities, and other industrial projects throughout the South and Central Florida. No project is too big for our experienced team. Restore your property to perfect condition by calling Fusion Building Company. We work with clients and insurance companies to provide emergency remediation services and rebuild damaged structures. Finding financing is often the first challenge that our clients face. We have experience working with many finance sources, including residential loan officers, insurance adjusters, and commercial loan committees. We use our relationships and expertise to get the work moving and keep stakeholders happy.